WASHINGTON -- Medicare's top administrator unexpectedly resigned Friday, becoming the latest casualty in the turmoil over the president's health care law, which is still struggling for acceptance even as millions benefit from expanded coverage. Marilyn Tavenner's departure underscores the uncertainty overshadowing President Barack Obama's health care law nearly five years after its party-line passage by a then-Democratic-led Congress. The Supreme Court will hear a challenge to the legality of the law's financial subsidies this spring, and a new Republican Congress is preparing more repeal votes. A former intensive care nurse with a businesslike approach to a divisive area of public policy, Tavenner told staff in an email that she's stepping down at the end of February with "sadness and mixed emotions." Her chief of staff is also leaving. Tavenner, 63, survived the technology meltdown that initially paralyzed HealthCare.gov. She remained in place even as her boss, former Health and Human Services secretary Kathleen Sebelius, left office following signals of White House unhappiness. 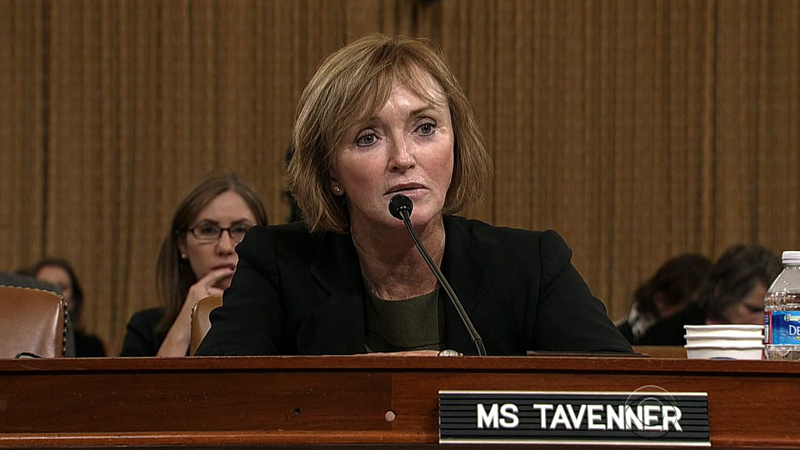 But Tavenner was embarrassed last fall when she testified to Congress that 7.3 million people were fully enrolled for private coverage under the health law. That number turned out to be an over-count that exaggerated the total by about 400,000 people. The error, discovered by Republican congressional staff, was termed "unacceptable" by new HHS Secretary Sylvia M. Burwell. Tavenner had a played a key role in the 2013 decision to go live with HealthCare.gov, signing a required cybersecurity clearance after technology professionals under her balked because testing was incomplete. The website later passed security tests and received full authority to operate. In her farewell message, Tavenner termed the health law's online insurance markets "a success." But she also said her job, which involves oversight of Medicare and Medicaid as well, was a "huge and complex responsibility" and "we had many additional challenges put before us" because of Obama's health law. Roughly 1 in 3 Americans are covered by health insurance programs run by the Centers for Medicare and Medicaid Services. Despite Tavenner's close association with "Obamacare," some senior Republicans in Congress said they were sorry to see her leave. "She has proven herself to be a strong leader and a straight shooter who brought in much-needed private sector sensibility into the agency," Sen. Orrin Hatch, R-Utah, said in a statement. "I truly appreciate her service and wish her the very best in her next adventure." But former House oversight chairman Darrell Issa, R-Calif., said, "Tavenner had to go." The over-count, discovered by his staff, "was a deplorable example of an agency trying to scam the American people," Issa said. The administration insists it was only a mistake, resulting from a double-count of people with dental coverage. In her own message to the department, current HHS Secretary Burwell called Tavenner "one of our most esteemed and accomplished colleagues" and said the decision to leave was Tavenner's. Tavenner joined HHS shortly before the passage of the Affordable Care Act. She came from state government, having served as Virginia's health secretary under former Democratic Gov. Tim Kaine. Although she started out directly caring for patients, most of her career was spent in hospital administration. She rose through the ranks to become a top executive of Hospital Corporation of America. Andy Slavitt, a former technology executive who played a leading role in the rescue operation to get HealthCare.gov working last year, will take over as acting Medicare administrator. The website is the online portal to subsidized private coverage for people who don't have health insurance on the job. Slavitt had impressed the White House with his mix of technology and management skills. He stayed on after HealthCare.gov stabilized, serving as Tavenner's principal deputy, responsible not only for HealthCare.gov but also for key Medicare and Medicaid issues as well. A permanent replacement requires Senate confirmation, and any presidential health care nominee could face rough going in the new Republican-led Senate. There was no immediate word on whether the White House would submit Slavitt's name for confirmation. Since the health care law's big coverage expansion began last year, at least 10 million uninsured Americans have gained coverage through a combination of subsidized private insurance and expanded Medicaid eligibility. A study this week also documented significant declines in the numbers of people who forego needed care because of costs, and who struggle to pay medical bills. But the Affordable Care Act has yet to find the public acceptance enjoyed by its federal forebears: Medicare, Medicaid, and the Children's Health Insurance Program. This year's Supreme Court case looms as a crucial test. Plaintiffs in the case argue that the law as written only allows the federal government to subsidize coverage in states that have set up their own insurance markets. Supporters of the law say that while its wording may be confusing, Congress intended for subsidies to be available across the country, regardless of state actions. Since Washington is currently running the insurance markets in 37 states, a ruling favoring the plaintiffs would unravel much of the gain in coverage.